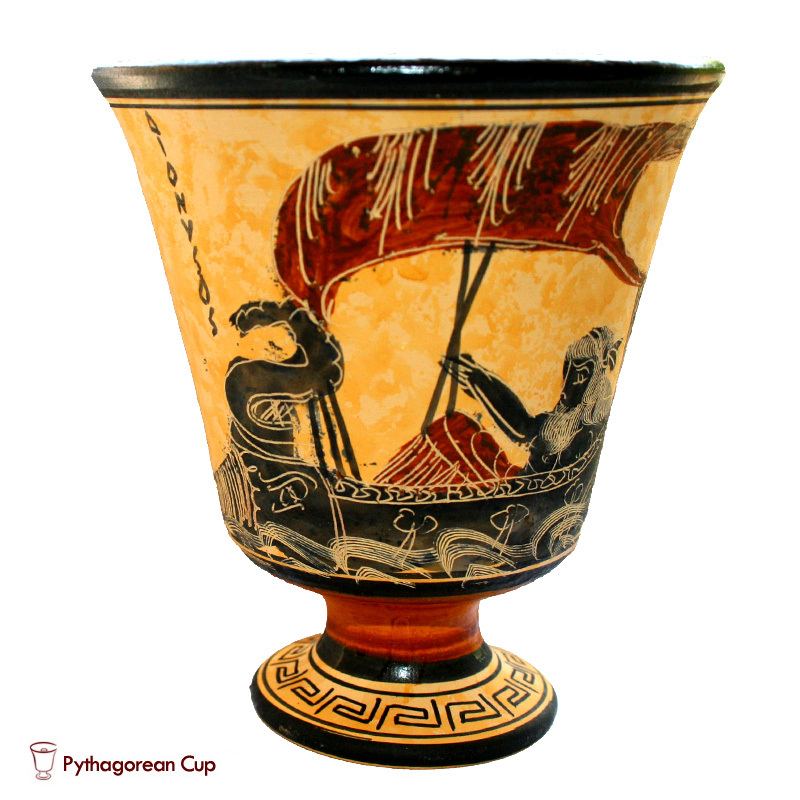 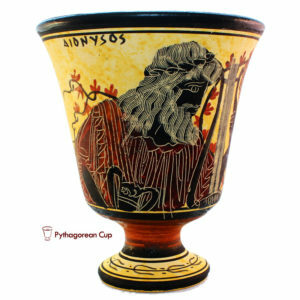 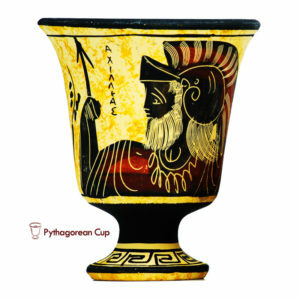 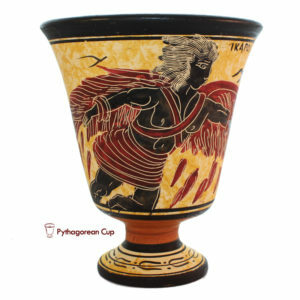 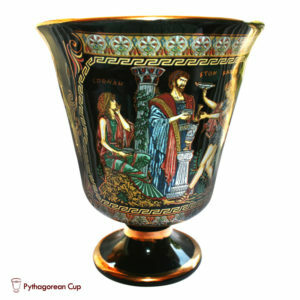 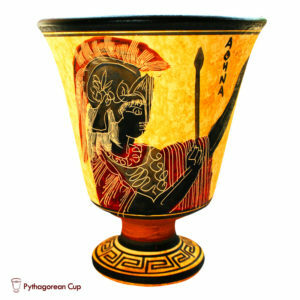 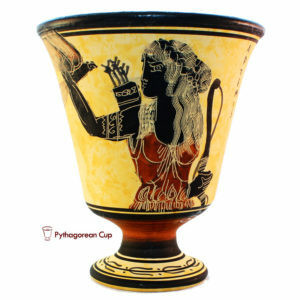 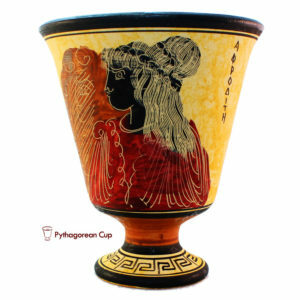 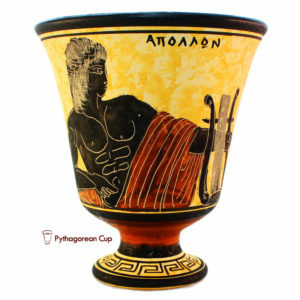 Pythagorean Cup — Dionysus on the ship it is hand made Greek souvenir from Samos island. 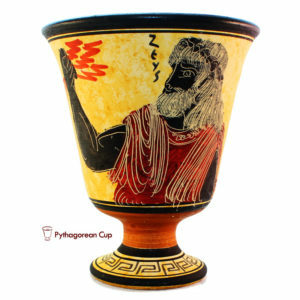 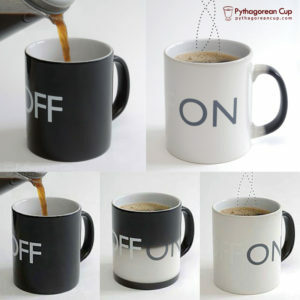 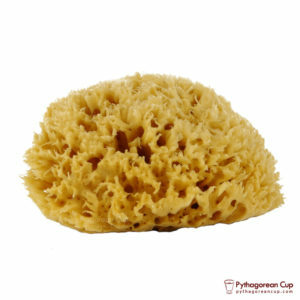 Tradition says Pythagoras, during water supply works in Samos, around 530b.C., moderated the workers wine drinking by inventing the «fair cup». 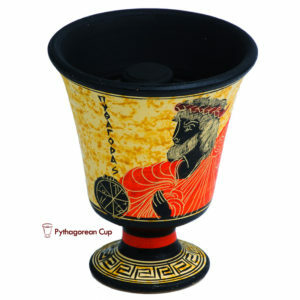 When the wine surpasses the line, the cup totally empties, so the greedy one is punished.